Green Hatting in the Six Hats, Six Coats metaphor is about the conceptual perspective of a system. Edward de Bono calls this the creative hat. Green Hats take the feedback provided by the other five hats and look for the an opportunity to improve the quality of life, right a wrong or prevent the end of something good. In the Green Hat perspective designers evaluate goals, networks, data, processes, people and times that could, should or would exist. Green Hat conceptual design is used by the Yellow Hat contextual design team. Like the other hats, the Green Hat is worn with each of the Six Coats. The basic question is what is the greatest benefit we can offer. Green Hat, Green Coat: What is our meaning? Green Hat, Yellow Coat: Why are we navigating? Green Hat, White Coat: Why do we need data? Green Hat, Black Coat: Why do we process? 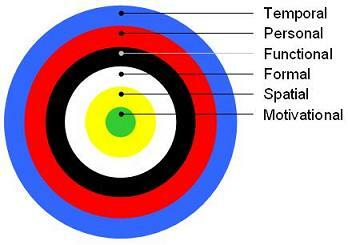 Green Hat, Red Coat: Why are we personas? Green Hat, Blue Coat: Why do we need convenience? Green Hat also has a reverse purpose when variances occur in the transacting system. Green Hats decide how to handle a opportunity which is to insert a new product or service for the system to accomodate the exception. The buck stops here. 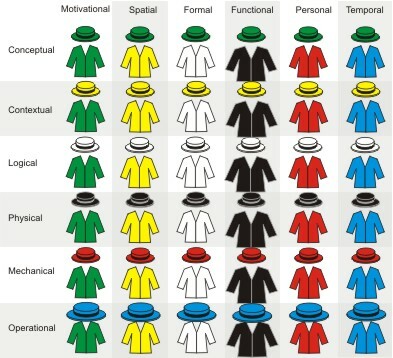 Yellow Hatting in the Six Hats, Six Coats metaphor is about the contextual perspective of a system. Edward de Bono does not have a hat for this perspective. Yellow Hats take the conceptual design provided by the Green Hats and look for the niche market. In the Yellow Hat perspective designers evaluate goals, networks, data, processes, people and times that require products or services within the conceptual domain. Yellow Hat contextual design is used by the White Hat logical design team. Like the other hats, the Yellow Hat is worn with each of the Six Coats. The basic question is what is the most unique product or service we can make available within the conceptual domain. Yellow Hat, Green Coat: What is our unique product or service mantra? Yellow Hat, Yellow Coat: Where are we navigating? Yellow Hat, White Coat: Where is our data? Yellow Hat, Black Coat: Where are our processes? Yellow Hat, Red Coat: Where are our personas? Yellow Hat, Blue Coat: Where are we convenient? Yellow Hat also has a reverse purpose when variances occur in the transacting system. Yellow Hats decide how to handle a deviation which is to select a new product or service for the system to accomodate the exception or to escalate it up to the Green Hats. White Hatting in the Six Hats, Six Coats metaphor is about the logical perspective of a system. Edward de Bono calls this the optimist’s hat. 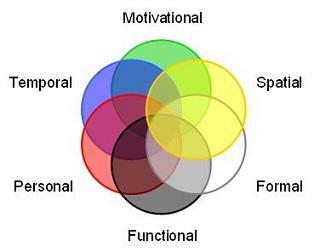 White Hats take the contextual design provided by the Yellow Hats and exprore it to its full extent. In the White Hat perspective designers optimize goals, networks, data, processes, people and times to theoretical limits. White Hat logical design is used by the Black Hat physical design team. Like the other hats, the White Hat is worn with each of the Six Coats. 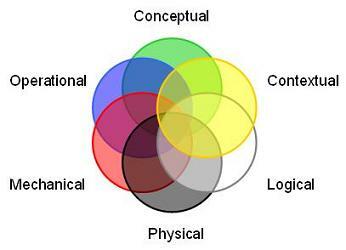 The basic question is what are the logical limits within the context. White Hat, Green Coat: How do we achieve maximum value for the customer? White Hat, Yellow Coat: What are we navigating? White Hat, White Coat: What is our data? White Hat, Black Coat: What are our processes? White Hat, Red Coat: What are our personas? White Hat, Blue Coat: What is our peak performance? White Hat also has a reverse purpose when variances occur in the transacting system. White Hats decide how to handle a variance which is to alter the system to accomodate the exception or to escalate it up to the Yellow Hats. Blue Hat in the Six Hats, Six Coats metaphor deals with convenience. 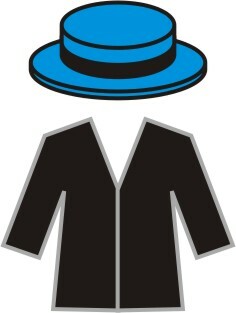 Blue Hat is the first impression your traffic gets–convenience of goals, networks, data, processes, people and times. When it comes to the web, if any of these aspects of convenience are not met you are going to lose traffic before anything is captured by your website’s system. Let’s look at each of these aspects in turn. Edward de Bono calls this the data hat. Blue Hat, Green Coat: When are the the goals of the site clearly communicated. This is the message your evangelists are getting out and getting out often. Be it an SEO or a customer. Blue Hat, Yellow Coat: When is the site navigated? If your audience is getting a garbled presentation on their browser, they are not going to stick around to figure it out. Blue Hat, White Coat: When is the data accessed? Tables of data that obfuscate information through redundancy cause users eyes to glaze over and their index fingers to click the back button. Blue Hat, Black Coat: When are the processes activated? Maintain a sense of orientation as any action is executed or the user will abort. Blue Hat, Red Coat: When do the personas use the site? Don’t be innovative if your users are averse to innovation. Blue Hat, Blue Coat: When is performance required? If you are taking too long to load flash or dowload data and traffic is cutting and running it’s time to consider communicating in different formats or increasing bandwidth. This is Blue Hat for a website. Blue Hat metaphors are equally applicable in any system you are working with be it business, government, not-for-profits, media or technology. I could see that these hexads revealed two levels that were rarely discussed in the context of Data, Information, Knowledge and Wisdom. I began to wonder how to correctly define them. After reading Edward de Bono’s Six Thinking Hats concept and John Zachman’s Framework which both contained six perspectives (Zachman considered Mechanical and Operational out of context, but made a point of including them) I began to look at the Red Hat and the Blue Hat in a new light. Edward de Bono called the Red Hat the “intuitive” hat. Zachman referred to it as the implementation perspective. The Blue Hat de Bono called the “process” hat, Zachman called it the “operational” perspective. The Blue Hat I call the Operational or “reflex” hat. In this post I am going to discuss the Red Hat, which I call the Mechanical or “intuition” hat. I find that intuition is not thoroughly discussed or well understood in most of the literature. However, Zachman’s framework gave me an alternative insight. In Zachman’s implementation perspective, design is translated into formally documented goals, network configurations, data definition language, program code, personnel roles, and system schedules. In otherwords, the mechanisms which the system enforceably observes. Any operations that fall outside of the implementation are treated as exceptions and flagged for handling at higher levels. The implementation defines intuitive behavior. When we work within the boundaries of well developed habit we experience the phenomenon called flow. Flow is the handling of events without the occurrence of exceptions to our habits. One of the commonly used examples is a rally during tennis. The two well trained players play within their intuitive boundaries for a prolonged period of time. There is little cognition regarding the return of the ball. In fact, cognition may be focused elsewhere. Walking is another example of intuition. It is possible to perform many cognitive-physical and cognitive actions while walking. And the flow of walking is rarely broken, even when negotiating a busy sidewalk or corridor. There are high level intuitions and low level intuitions. We can have intuition about our sleeping habits, which is a temporal intuition focus. We can have intuition about walking, which is primarily a functional intuition focus. 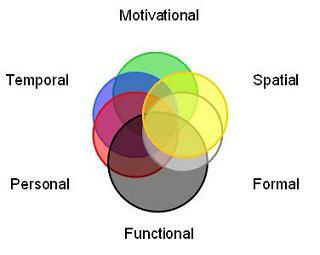 We can also have intuition about formal (data), spatial (networks) and motivational (goals) focuses. The higher the intuitive focus the more training it requires. This is also where the concept of “naturals” and the “refined” comes into play. Naturals, are individuals who seem to have an intuitive focus mastered without training. Child prodigies are an example of naturals. However, there is nothing saying that any intuitive focus cannot be be trained to a level exceeding that of a natural. In this case we have the refined performer. Considering these two extremes, we can say that intuitive people can be born or made. The intuitive difference between genders is another issue. Women are regarded as having superior intuitive abilities. 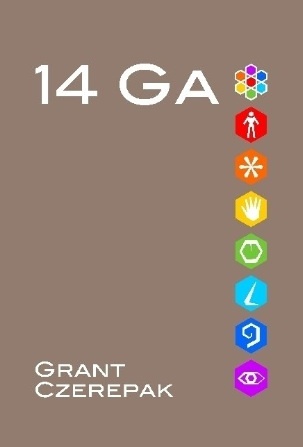 This is attributed to a greater “white matter” content in women’s brains which emphasizes associations as in languages, while men have a greater “grey matter” content which emphasizes entities as in mathematics. However, association intuition and entity intuition both have been exhibited. Also, as in naturals and the refined, intuitive talents can be both born or made across genders. I have shown that intuition operates below the Data level where exceptions are not handled, but passed upward cognitively when outside of the intuitive flow. I have also explained how intuition observes a hierarchy giving it a dimensionality that is often overlooked. Finally, I have demonstrated that intuition is the product of both innate ability and trained habit. 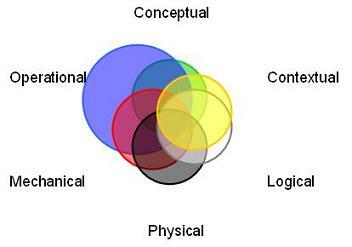 All systems have an intuitive level where the day passes and few events actually register cognitively. At this time we wonder where the day went. We have come to refer to this state as “business as usual”, but it can be the time of high productivity. Continual interruption of our intuitive processes can actually be counterproductive as it takes time to restore flow, to refocus. 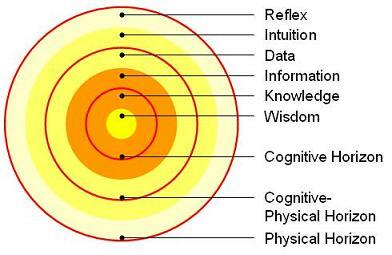 Intuition does have a place in the DIKW hierarchy. But it requires us to descend the hierarchy to place it rightfully at the foundation where we can perform without cognitive registration. In the last post I discussed the Six Rings metaphor which revealed that both the Six Hats and the Six Coats metaphors were both cognitive hierarchies. In this post I will discuss leadership or emphasis within a project or system. In this example the emphasis is predominantly on the Blue Hat, Operational. 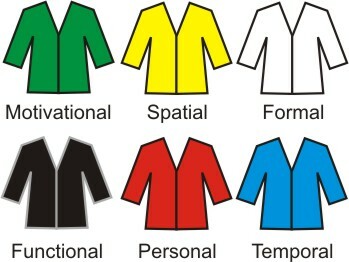 In this example it is the Black Coat, Functional that has emphasis. You can see that the Blue Hat row and the Black Coat column are larger. If this were a computing project we could say that the operational perspective and functional focus are leading the effort. We are likely to get an effective transaction system at the expense of everything else. We hope that that is what the other systems that interact with ours will want. This is a very simple example, but by analyzing the Mix Thirty-Six of external and internal systems we can realize beneficial systems. And everything is ultimately a system within its own right.